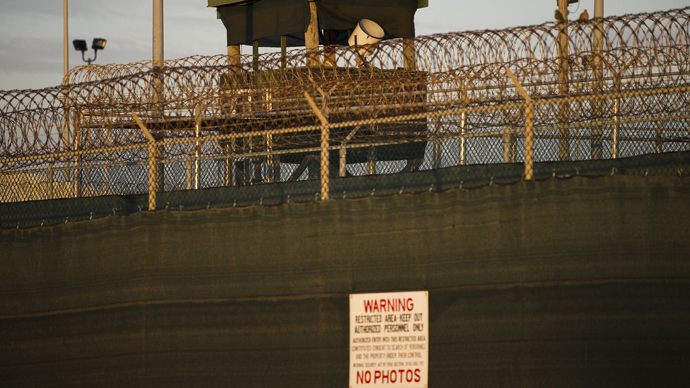 Washington’s failure to close Guantanamo and release indefinitely held detainees is a “clear breach of international law,” UN human rights chief Navi Pillay said in a statement on Friday, as the “desperate” hunger strike nears two months. 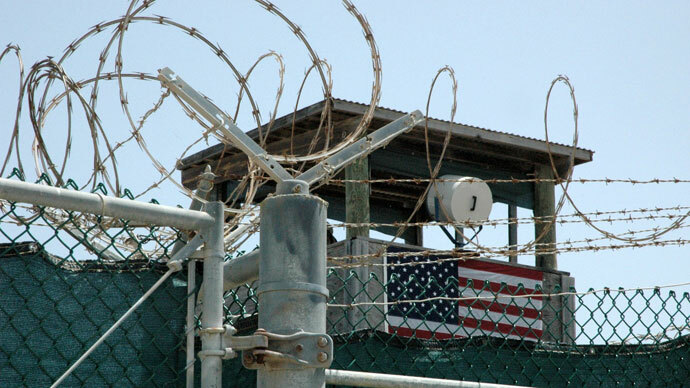 Follow RT’s day-by-day timeline on Gitmo hunger strike. Calling the ongoing Guantanamo Bay prison hunger strike a “desperate,” but “scarcely surprising” act, the United Nations High Commissioner for Human Rights expressed her “deep disappointment” of the US government’s inability to keep to its four-year-old pledge to shut down the controversial prison. “We must be clear about this, the United States is in clear breach not just of its own commitments but also of international laws and standards that it is obliged to uphold,” Pillay said in a statement. She condemned “the continuing indefinite incarceration of many of the detainees,” saying it “amounts to arbitrary detention,” and thus violates the international law. 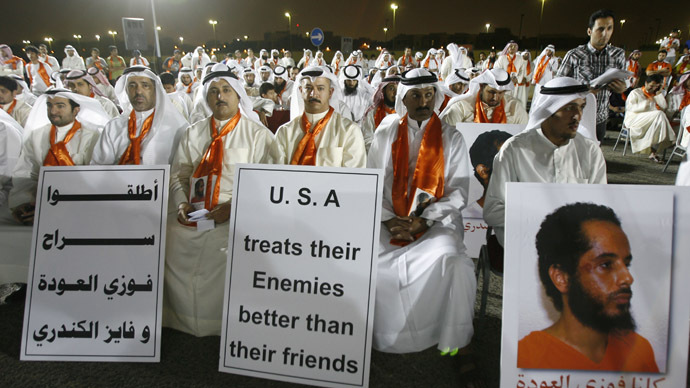 Pillay also said it undermines the US’ stance of a human rights “upholder,” and reminded that when other countries breach human rights standards, the US is the first to strongly criticize them for it. According to Pillay, about half of the 166 Guantanamo detainees have been cleared for transfer either to home countries or third countries for resettlement, but haven’t been released. The other half may be doomed to keep “festering” in detention for an indefinite period of time, she added. Of the 166 detainees, which come from 23 different countries, only nine have been charged or convicted of crimes. 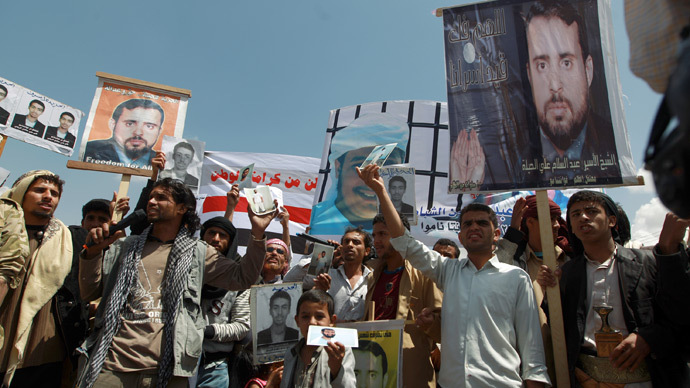 According to official reports, some forty inmates have joined the current hunger strike in protest against their indefinite detention, which has already been going on for 59 days. The prisoners claim the number of those taking part is close to 130. Some of the hunger strike participants are being force fed with liquid nutrients by means of tubes inserted through their noses into their stomachs, to counteract alarming weight loss. The US military has started the forced feeding- a process the UN has compared to torture- despite opposition from the International Committee of the Red Cross (ICRC) monitoring the prisoners’ condition. Military officials have also denied mistreating the prisoners, or breaking internationally recognized laws, saying that an “alternate narrative simply do not withstand intellectual rigor” as cited by Reuters. President Obama “has not taken the necessary steps… when he had the power to” in connection with the release of Guantanamo detainees and prison closure, and is not using his “full powers” now that the process is blocked by a number of factors, Jonathon Hafetz, professor at the Seton Hall University School of Law told RT. “You have the military continuing to press for holding detainees and use military commissions, rather than regular courts. Particularly, you have Congress, which has placed very onerous restrictions on transferring detainees to other countries, including detainees who the White House has cleared for transfer,” Hafetz said, speaking of the obstacles in the way of the infamous prison abolition. 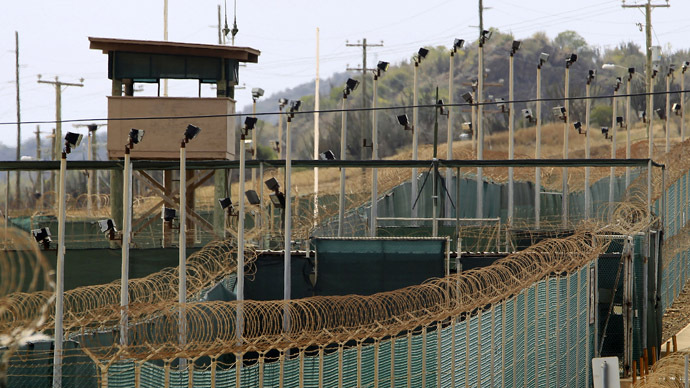 There’s no doubt that international law is being broken in a number of respects in Guantanamo, Hafetz added. 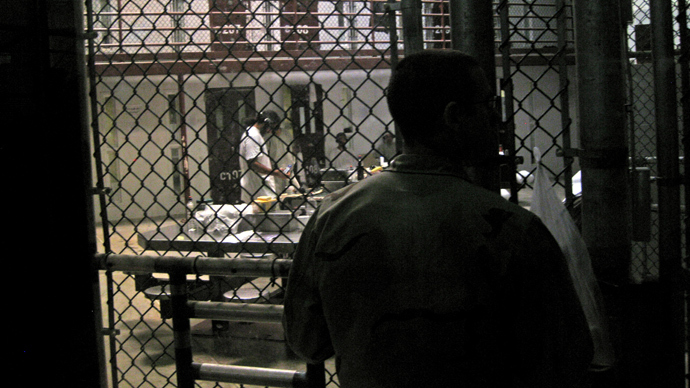 The US has been violating the international law by “indefinite detention of individuals who don’t pose the risk of a threat,” and the prosecution in military tribunals have charged for offenses like “material support for terrorism or conspiracy,” which are not recognized as war crimes under international law, the lawyer said. 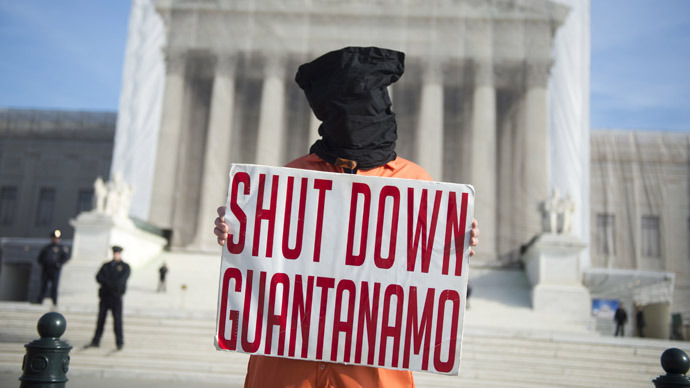 “The absence of accountability for the torture and the other abuses that occurred at Guantanamo is another violation of international law – the state has a duty to investigate and prosecute offences, and the US has not done that,” Hafetz added.